The world's most beloved roleplaying game, Dungeons & Dragons, joins the legendary 'Ology series as the renowned guide Volo Geddarm takes you on an unforgettable journey through the Forgotten Realms. From the dreaming spires of Waterdeep to the frozen majesty of Drizzt Do'Urden's Icewind Dale, and from the despicable Underdark to the mysterious Underchasm, you'll learn the history, secrets, and wonders of this incredible world. Matt Forbeck, an award-winning and New York Times best-selling author and games designer, has been playing Dungeons & Dragons since he was thirteen. After earning his degree in creative writing from the University of Michigan, he embarked on a prolific writing career that included working with the late legendary Dungeons & Dragons co-creator Gary Gygax. He is the author of the well-received Secret of the Spiritkeeper, the first book in the Knights of the Silver Dragon series. Matt Forbeck lives in Wisconsin with his wife and five children. Featuring a mix of sketches and richly detailed character (and creature) studies, it’s a package that should please existing D&D fans and leave newcomers eager to learn more. A handy travel guide to the Sword Coast's sprawling Underdark, along with helpful hints for prospective questers thereto.Both confirmed gamers and readers seeking a peek into the Dungeons & Dragons multiverse will be entertained by this album-sized vade mecum...A taste of adventure for all who would delve D&D's lightless depths for virtual treasure. 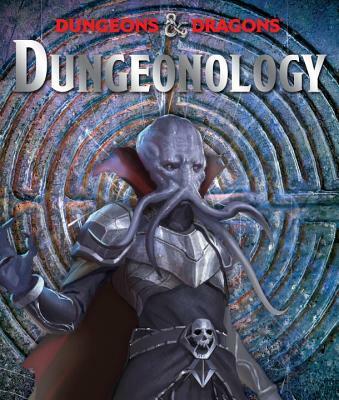 This title will appeal to new players, those interested in learning about D&D, and stalwart fans of the “Ologies” series. A solid purchase for most collections.